We’re really coming down the wire now. With playoffs looming in the near future, these next weeks are crucial. This week is full of absolutely must have players, bolster your lineups while you can and let’s begin closing down on that championship. Dak has been a decent bargain option as of late. 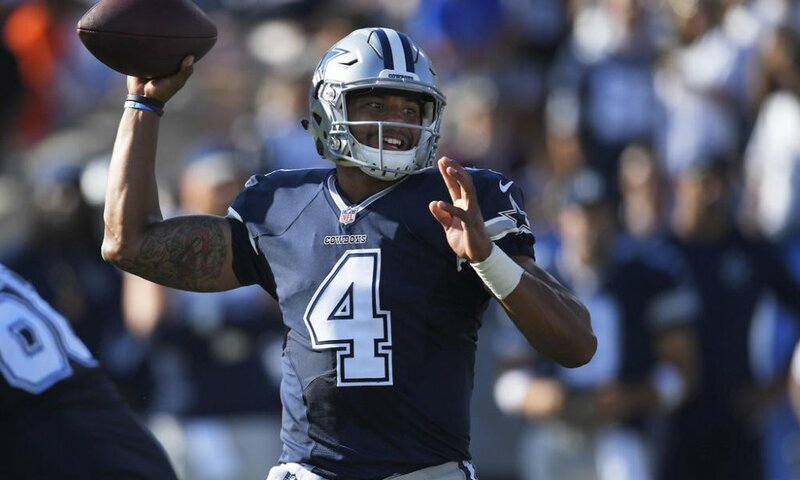 With the Dallas Cowboys offense resurging, many people have yet to grab Dak from their waivers. Here’s the deal however, this week, regardless of who you have at QB he is a MUST HAVE as Dak is trending up. In the last four weeks, Prescott has gotten it done with 8 total TDs. Since the addition of Amari Cooper, Dak has had 20 completions in every game, which he did just once without Cooper on the team. Here is the real reason you want him this week, the Cowboys are playing Drew Brees and company. The Saints have been a juggernaut this year with an unstoppable offense and a defense that cannot be beaten in the trenches. With the Saints shutting down running games and putting up 40 points seemingly every week, Dak is going to be throwing all day long to keep up. With the NFC east, a playoff spot and potentially Dak’s contract extension at stake in the coming weeks, look for Dak to deliver. The elephant in the room has been addressed in Jacksonville. With their loss to the Bills, the Jaguars have fired their offensive coordinator and benched Bortles. In the past two weeks Bortles has not had more than 12 completions. Kessler is not the answer in Jacksonville and we all know that, but Bortles is fighting a losing battle and will not be doing your fantasy lineups any favors in the race to the playoffs. With Mayfield only owned in 55% of leagues and heavy hitters like Dak, Jackson and Winston coming off big games, Bortles has no place in your lineup. Blount is back baby! 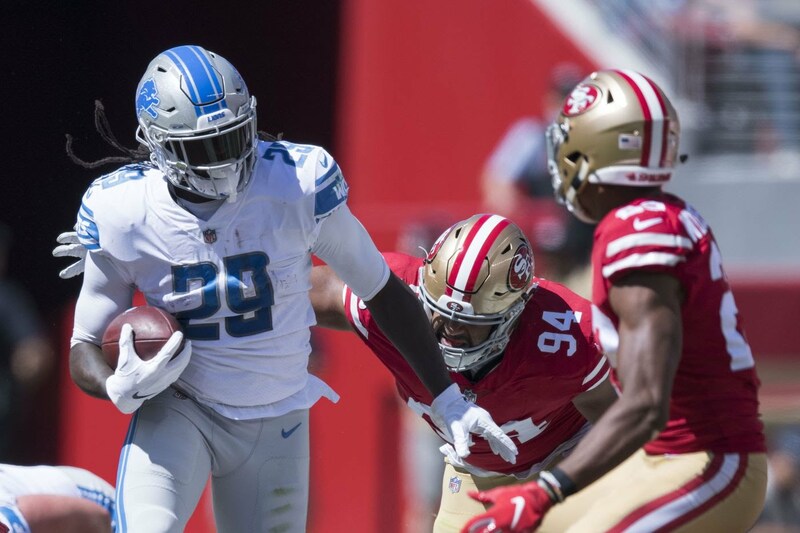 The muddled Detroit backfield is becoming a little less crowded due to Kerryon Johnson’s injury. Blount stepped up big on Thanksgiving carrying the ball a whopping 19 times racking up 88 yards and 2 TDs. With Blount clearly taking on lead back responsibilities, he suddenly becomes a very dangerous RB2 option in almost any lineup, and a good flex play for a RB stacked lineup. Always a dangerous Rez Zone option, he can be counted as a safe floor play that can potentially bring in some serious points this week. This comes as godsend in these times where a decent waiver wire running back is so hard to come by. Even with a strong offensive performance from the Titans this week, Henry is still floundering in fantasy. He is still being held by many fantasy owners despite not breaking 60 yards in a game this season. He doesn’t need to be taking up space in your lineup, but at the very least he needs to be on the bench. These weeks are too crucial to be relying that heavily on a guy that is not being utilized much. 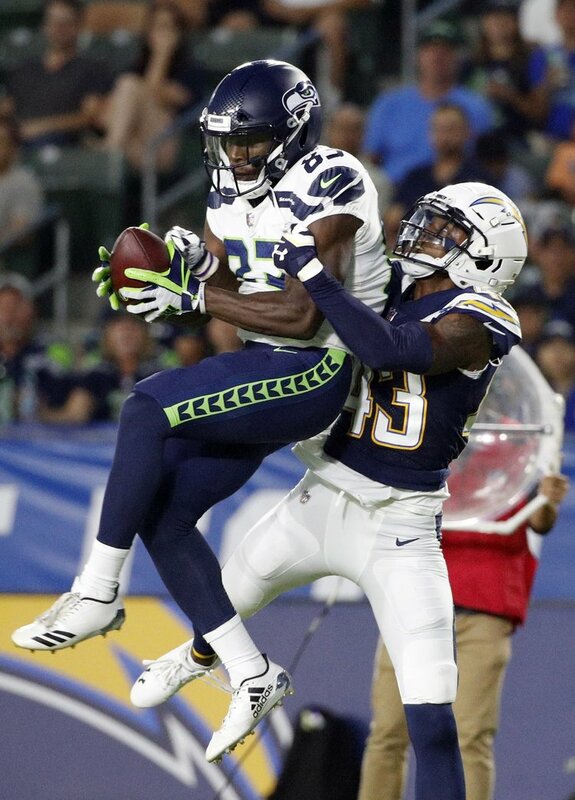 David Moore shined in the Seahawks improbable win against the Panthers on the road. While it’s true that Moore has been up and down lately, with games ranging from 103 yards to 16, Moore’s performance always seem to take shape when Wilson mounts his fourth quarter magic. The big pull for Moore that brings his ceiling so high is his targets per game. With three games with at least 5 targets, Moore has been a consistently targeted receiver for Wilson. He is a good option to pick up and sit on, but makes a good replacement if you are dealing with injuries. Shepard came into this year with a lot of hype. Lately his production has been mediocre at best however. 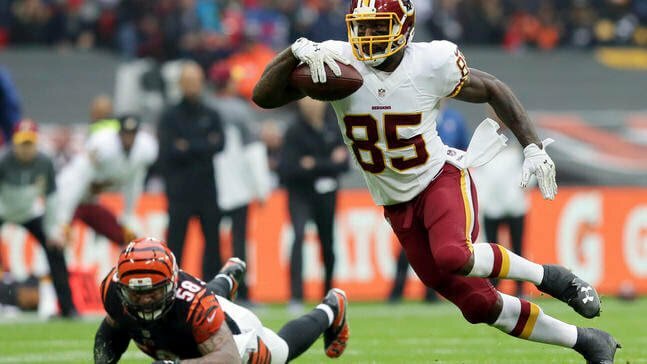 In the past four weeks, Shepard hasn’t even broken 40 yards once and that was against the sub par secondaries of the Redskins, 49ers, Buccaneers and Eagles. Even as the Giants offense have been stepping up recently, Shepard was a relatively non-factor from a fantasy perspective. While his ceiling might conserve a spot on the bench, he is not a player you want anywhere near your starting lineup. The Redskins struggled to protect new starting quarterback Colt McCoy this week. Despite relatively low production with the receiving corp, it was very apparent that McCoy trusts his tight ends Jordan Reed and Davis. With four targets, Davis is certainly a play for a position that has been non-existent, especially with Colt McCoy at QB. Despite the TEs age, he seems to have some game and a lot of speed left in him. While he is still a risky play, if you are struggling at TE he could be the answer you are looking for going into the next few weeks. I have a riddle for you. What do you get when you mix a backup quarterback who’s never started in an NFL game in his career, a porous offensive line and one of the most dangerous pass rushing duos in the NFL? You guessed it! The answer is the Denver Broncos being not just a must add but a must start this week. Unless you are sporting a top of the line defense like the Bears, I would definitely be doubling down on the Broncos D this week.